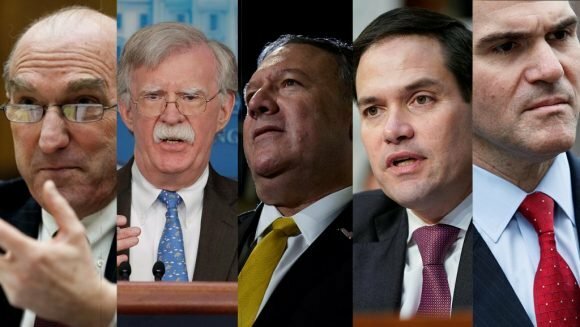 The U.S. is using new tools to strengthen their financial blockade on Cuba and Venezuela in attempt to sink their economies and replace their legitimate governments. Venezuela’s Foreign Minister Jorge Arreaza said Monday that his country will continue to send oil to Cuba despite the U.S. sanctions on vessels transporting oil to the Latin American island. "Venezuela will always fulfill its commitments with the brotherly people of Cuba," Arreaza pledged and commented that "when capitalism’s conventional power attacks you - you have to know how to respond by unconventional means, while always respecting international law. We are experts." The U.S. Treasury Department imposed sanctions on 34 vessels owned by Petroleos de Venezuela (PDVSA); this means that all shipments and transactions carried out by them will be banned. These absurd measures taken against the Venezuelan oil tankers also affect the Liberia-based Ballito Shipping Co. and the Greece-based ProPer In Management Co.
By imposing this arbitrary action, the U.S. government seeks to destabilize the Venezuelan government by creating a liquidity crisis, a goal which became evident when Vice President Mike Pence April 5 said that “the U.S. will continue to exert all diplomatic and economic pressure” against President Maduro’s administration. @Antonio19474471 Recordamos a los amigos que la lucha de los pueblos de Cuba y Venezuela, no es solo en defensa de sus respectivas revoluciones sino en defensa de la humanidad. No dejemos que una vez mas el imperialismo agreda a un pueblo de la región. "We remind our friends that the struggle of the peoples of Cuba and Venezuela is not only in defense of their revolutions but in defense of humanity. Let's not allow imperialism once again assault the people of the region." This U.S. sanctions are also related to the opposition politician Juan Guaido’s attempt to block Venezuelan oil shipments to Cuba as he believes that they are being used to finance Cuban intelligence’s work. The U.S. Treasury Department Secretary Steven Mnuchin justified the new sanctions on the grounds that Cuba has been a strong supporter of Venezuela. “Treasury is taking action against vessels and entities transporting oil, providing a lifeline to keep the illegitimate Maduro regime afloat,” Mnuchin said and added that the U.S. remains committed to holding the Cuban revolution “accountable for its direct involvement” in Venezuela. After the U.S. announcement, the Venezuelan government said that the appropriate legal measures will be taken to respond to such unacceptable measures, which were also condemned by Cuba’s President Miguel Diaz-Canel. Cuba and Venezuela have been close political and economic allies since 2000. The South American country became the island's main oil provider through an agreement which grants preferential oil prices in exchange for Cuban medical and educational services. The most recent fuel shipment to Cuba left Venezuela on April 4, carrying liquefied petroleum gas. Another three vessels are waiting off Venezuela to load with shipments destined for Cuba. Due to the U.S. economic war on Venezuela, however, there has been a decline in Bolivarian oil shipments to Cuba, a country which has been looking for for alternative suppliers, among which are Russia and Algeria. Caracas, Apr 1 (Prensa Latina) From the Turkish capital today, Venezuelan Foreign Minister Jorge Arreaza demanded respect for the founding charter of the United Nations (UN) to end the economic siege against the country. 'At the UN we see that a group of countries is ready to defend the principles of its founding charter; the threat and blockade against Venezuela are outside international law and should be denounced,' stressed the diplomat quoted by the Foreign Ministry. During a meeting with his Turkish counterpart, Mevlut Cavusoglu, Arreaza also denounced U.S. attempts to take over the country's natural resources through a change of government outside the Constitution. On the other hand, the Foreign Minister acknowledged the strengthening of ties with Turkey, cooperation that in recent years increased more than five times on several sectors. 'In Ankara we met with our brother Foreign Minister Mevlut Cavusoglu. We reviewed our multilateral and bilateral cooperation on several sectors. Nothing and no one will be able to prevent the links between Venezuela and Turkey to become diversified and deepened,' Arreaza wrote on Twitter. Cavusoglu, for his part, condemned the unilateral illegitimate sanctions against any country and expressed the Turkish Executive's rejection to the coercive measures that are intended to be imposed against Venezuela. 'Sovereign and free countries must continue with their legitimate commercial exchange. Third countries do not have the power to qualify or comment on our bilateral relations,' he added. The Foreign Minister stressed that: “We’re calling for dialogue, dialogue with the United States — why not between Presidents Maduro and Trump? Venezuelan Foreign Minister Jorge Arreaza appealed again to the countries of the U.N. to act in the face of the U.S. interventionist aggression. Venezuelan Foreign Minister Jorge Arreaza appeared before the Human Rights Council of the United Nations (UNHRC) in Geneva Wednesday to discuss the interference and threat of military intervention being wrought on his country by the United States. He asked the international organization to speak out about the false flag operations they are using to justify a military intervention in Venezuela. "President Nicolas Maduro, has been calling for dialogue between the disputing parties, but they have not wanted them because they come with strings attached," he explained. This Geneva trip comes on the heels of a session Tuesday of a special session of U.N. Security Council called by the United States to discuss Venenzuela. At that meeting, many countries, including those who have come out against Venezuela's government, have rejected the use of force by the U.S., which Arreaza called a threat to Venezuela’s sovereignty and the rights of a free people as well as a violation of the United Nations charter. After this meeting, Arreaza will meet privately with U.N. representatives.in Geneva. Venezuela is well aware the US is actually leading an effort to topple President Maduro, but is ready to sit down with the Western-backed opposition and could be doing so “in half an hour,” the country’s Foreign Minister told RT. Foreign Minister Jorge Arreaza gave an inteview to RT Spanish on Sunday. Without further ado, he accused Washington of spearheading what he said an effort to overthrow democratically elected President Nicolas Maduro. The US government is not just behind the coup but is leading it. We are focused on neutralizing Washington's attacks. Adding to a US-led pressure for President Maduro to step aside, Spain, France, Germany and the UK on Saturday issued the elected leader an ultimatum, calling on Maduro to call for new elections within eight days. “First of all, it is interventionism to the highest degree. Secondly, it is arrogant, and, thirdly, it is artificial,” Arreaza commented. The Venezuelan government will scrutinize ties with countries who backed the opposition but will not put too much emphasis on it. Nevertheless, Caracas will keep the door open to any talks with pro-Western opposition led by Juan Guaido. The opposition leader declared himself interim president last week, garnering support or recognition from the US and an array of other nations. Russia and Turkey were among those to denounce Guaidos’s move and said they would further recognize the elected leader Maduro. “Everyone should know that we are in constant contact with the Venezuelan opposition,” said Venezuela’s top diplomat. Last December, the government was close to reaching a deal with them but they walked out of the talks after consulting with the State Department. At any rate, Caracas stays ready to engage its opponents. If the opposition is ready to sit down with us at the negotiating table we will agree literally in half an hour. Seizing the opportunity, the Foreign Minister urged Guaido followers “to come to the negotiations, ask permission from their superiors in the US, and look for a solution with us [to] jointly build a political road for the future.” It is impossible to push for change in Venezuela by actually attacking it or siding with its enemies, Arreaza stated. Caracas is currently engaged with the governments of Mexico and Uruguay on “daily” basis after both states offered their mediation services. The government also remains in constant talks with the American-led domestic opposition, which continues to avoid any meaningful dialogue unless approved by the US. “The people of Venezuela can freely decide whether they want to follow the road of the revolution, left-wing politics, progress, or whether they want to follow the path of neoliberalism and imperialism,” the Foreign Minister offered. United Nations Security Council met on Saturday to discuss the internal situation of the Bolivarian Republic of Venezuela. On Saturday the United Nations (U.N.) Security Council was summoned by the United States to meet Saturday to discuss the internal situation of the Bolivarian Republic of Venezuela. Venezuelan Foreign Affairs Minister Jorge Arreaza delivered a speech defending Venezuela against the U.S. interventionism and was backed by several countries from across the world. 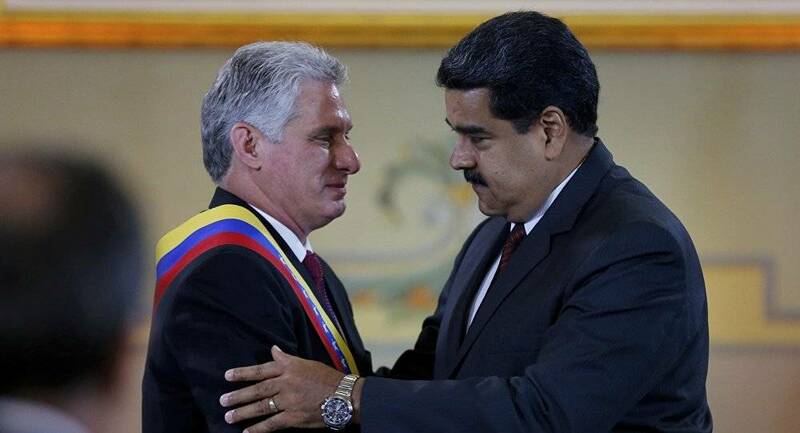 China, Equatorial Guinea, South Africa, Russia, Nicaragua, Cuba, Bolivia, Saint Vicent, the Grenadines, Barbados, and Suriname, were among the countries that expressed their recognition of the legitimate and constitutional Venezuelan government, led by President Nicolas Maduro. "The United States is the one that should be evaluated (and not Venezuela) for its permanent disrespect and interference in external political affairs," Foreign Minister Arreaza said in his statement before the Security Council. "How is it possible that the president of the United States, Donald Trump, who militarily threatened Venezuela, has not been questioned by the world?" Arreaza also talked about the situation of the illegally and unconstitutionally self-proclaimed "interim president" Juan Guaido, asking, "how can it be possible for a lawmaker to proclaim himself president and for international governments to recognize him?" Stating and warning that in Venezuela "force is being imposed on the law. That is dangerous and we must stop it here from the United Nations." @telesurenglish #LIVE | Chancellor of #Venezuela, @jaarreaza from the #UnitedNations Security Council: "The Bolivarian Armed Forces defend the Constitution with their lives, they can never convince our military to overthrow @NicolasMaduro." Russia, for its part, a delegation led by ambassador Vasili Nebenzia, condemned the United States policy of favoring regime changes in other countries. "The regime change is the favorite political game of the United States," Nebenzia state. According to the diplomat, "We (Russia) support the rules of international law and we oppose foreign intervention." Jerry Matjila, permanent ambassador of South Africa at the United Nations, called for dialogue in Venezuela. "South Africa is against any attempt of unconstitutional change of the government of Venezuela," the diplomat said at the meeting. The ambassador for Nicaragua stated that the actions led by the U.S. and backed by other countries "do not help a political and peaceful solution that only belongs to the Venezuelan people. Venezuela is the one who must exercise its rights and autonomy within its internal jurisdiction." The Cuban representation in the Security Council stated that the Caribbean nation "reiterate(s) our absolute respect for the Bolivarian and Chavez revolution, for the union of the Venezuelan people and for their legitimate and democratic government." Those several statements of support came as a response to incoherent and inconsistent attacks on Venezuela's President Maduro by the United States and its right-wing allies as well as several European Countries. During his speech, the British envoy claimed that President Maduro won the May 2018 elections by "stuffing ballot boxes," an allegation that the Russian envy rebuffed by reminding his counterpart that in Venezuela such a fraudulent practice would not be possible because Venezuela has a highly-reliable electronic voting system that does not involve ballot boxes. The Venezuelan foreign minister slammed the hypocrisy of offers of humanitarian aid to Venezuela by the same countries that imposed the harsh sanctions. Venezuelan Foreign Minister Jorge Arreaza said Monday that "there is no humanitarian crisis in Venezuela," but rather an "economic crisis," as a consequence of the sanctions and the blockade exercised by sectors of the international political right against the South American nation. "It is greatly cynical of those who would blockade Venezuela to (then) offer humanitarian aid afterward," Arreaza said during the 39th session of the U.N. Human Rights Council, where the situation in Venezuela was discussed, in reference to harsh sanctions against his country by the U.S. and the European Union. The diplomat's statement corresponds to what was expressed in the report of independent expert Alfred-Maurice de Zayas during the session. "We request on behalf of the people of Venezuela and President Nicolás Maduro the cessation of aggression against the Bolivarian Republic," said the Venezuelan foreign minister. His comments just days after a damning New York Times report revealed that secret meetings had been taken place between the United States military and several Venezuelan military officers who were plotting to carry out a coup against President Maduro, but eventually failed to do so and failed to convince the United States to support their efforts. Commenting on the report, Arreaza, rejected the U.S. interference and plots against the democratically-elected government of Maduro, and said such reports confirm what Venezuela has been saying for years, that Washington and its allies have been working in secret with right-wing elements in the country to oust Maduro and his leftist government. "We denounce the plans for intervention and support given to military conspirators by the government of the United States against Venezuela," Jorge Arreaza wrote on Twitter on Saturday. "Even in U.S. media, the crass evidence is coming to light." In a statement published Monday, Venezuela's foreign ministry condemned the EU for its 'blatant subordination' to the U.S.
Venezuela issued a statement Monday rejecting the European Union’s announcement of sanctions against 11 high-ranking officials in protest of President Nicolas Maduro’s reelection in the May elections, which were boycotted by some sectors of the Venezuelan opposition such as the Democratic Unity Roundtable, or MUD. “The EU undermines political peace in Venezuela by meddling in its internal affairs and endeavoring to apply coercive measures against tranquility and dialogue between Venezuelans,” the statement by Venezuela’s foreign ministry reads. The EU sanctions include travel bans and asset freezes against people close to President Maduro. According to the EU the May 20 elections in Venezuela, which were accompanied by over 100 international observers, were not free or fair. The main argument behind that assertion is that two popular opposition leaders and some political parties were unable to compete. Leopoldo Lopez couldn’t run because he was sentenced to almost 14 years in prison for inciting to violence during the deadly 2014 protests. The other one is Henrique Capriles, who was sanctioned in 2017 by Venezuelan ombudsman Manuel Galindo over corruption charges when he was governor of the state of Merida. Henry Ramos Allup, former president of the suspended National Assembly, offered his Democratic Action party to present a “united Venezuela” ticket in late January. Ramos Allup’s party was able to participate because it had successfully completed the revalidation process. Nicolas Maduro obtained 5.8 million votes in the May 20 elections, that is four million more than main opposition candidate Henri Falcon, who decided not to heed calls for an electoral boycott. “The Bolivarian government reiterates to the EU that Venezuela will not accept threats from any world power or group of countries coalesced with imperial reminiscences,” the statement concluded.